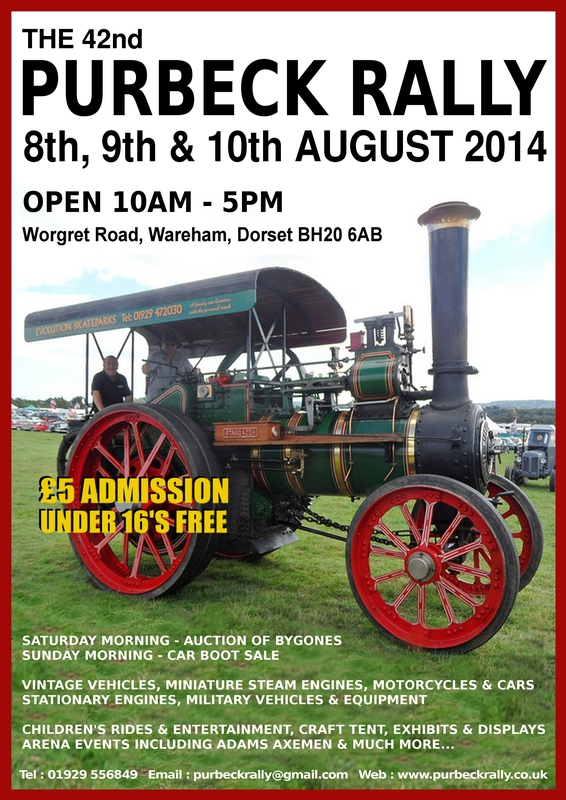 Purbeck Rally & Autojumble Aug 8th,9th &10th. Anyone wanting to visit the Nursery please be aware that I will be closed Weds 6th Aug pm and all day 8th Aug as we are attending the Purbeck Rally, as above. We will be selling a small selection of plants, fruit, eggs, jams and whatever autojumble Bob can get together!